They call him Hollywood's "Mayor of Comedy," the stand-up wannabe and writer of acclaimed-but-cancelled TV series who finally failed his way to the top. 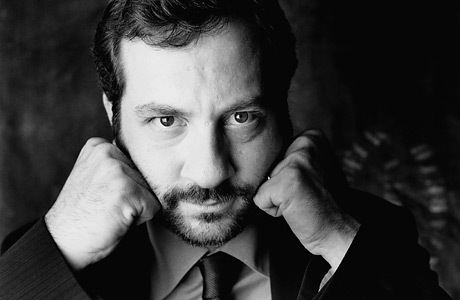 His 2005 hit The 40-Year-Old Virgin begat this year's Knocked Upand now Apatow is building an assembly line of low-budget, large-laugh films. Luckily, his raw material, the social and sexual foibles of under-achieving men, is one of nature's ultimate renewable resources.